One of the core principles of The Gonzalez Protocol® is that your body can heal itself if it is in autonomic balance. Dr. Gonzalez explained that our autonomic nervous system and its two branches, sympathetic and parasympathetic, run our bodies. Depending on the food that we ingest into our bodies, we can change our autonomic balance for better or for worse. 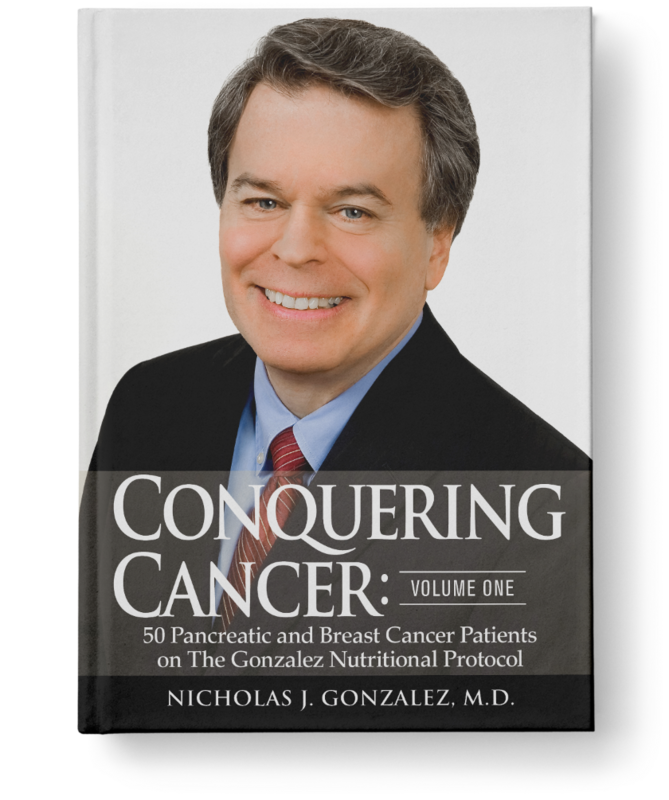 Dr. Gonzalez believed that the diseases we fear most such as cancer, diabetes, and heart disease, are not the inevitable cost of being human but are largely the result of poor food choices in our lives. 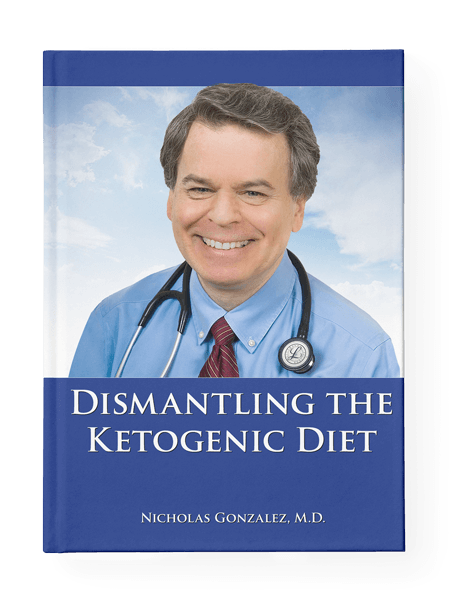 Food is fuel and as Dr. Gonzalez explains in his award-winning book Nutrition and The Autonomic Nervous System “without the right fuel, the human engine, the autonomic nervous system, isn’t going to work efficiently, and disease is going to occur”. If we consume foods suitable for another metabolic type not our own we can get sick. For example, if a sympathetic dominant eats red meat two or three times a day or a parasympathetic dominant becomes a vegetarian, then autonomic imbalance will only worsen. Our bodies will have excess amounts of those nutrients that support the strong system and further suppress the weaker system. 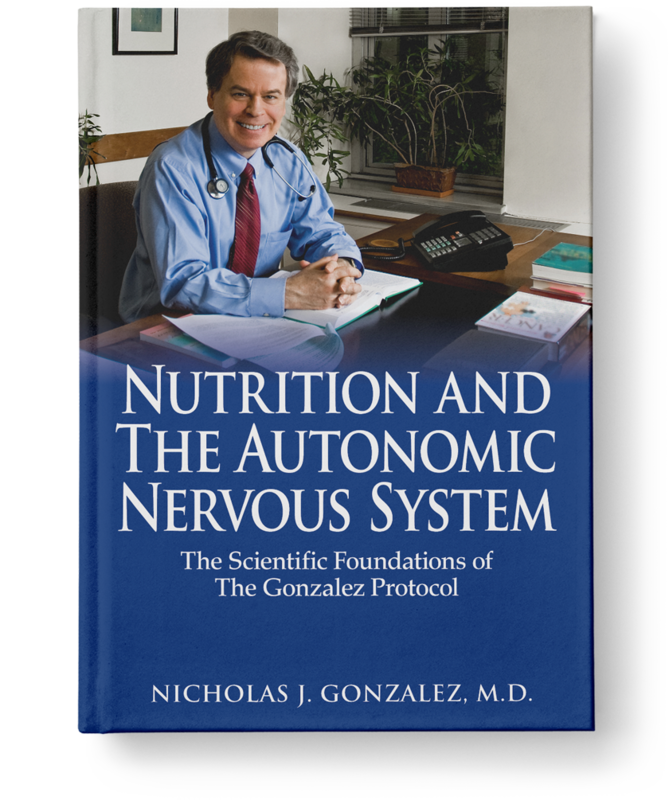 The Gonzalez Protocol® determines your metabolic type and produces a customized nutritional protocol of diet and supplements to balance your autonomic nervous system and enable your body to heal. While the concept is simple, the execution is complex as every protocol is individualized to the patient. 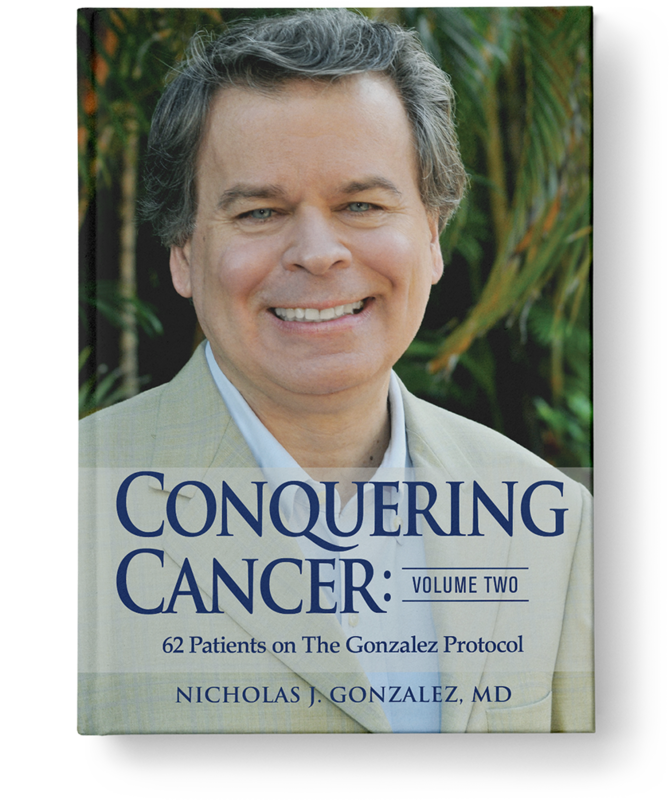 The Nicholas Gonzalez Foundation is developing the training materials to teach practitioners around the world how to design these individual protocols.